Financial Security Management (FSM) started as a small Triple Check tax franchise in 1995. When we realized the advantage of offering our clients financial planning in addition to tax services, we set out to provide quality financial services with a personal touch. Our client base continued to grow, and in August of 2007 we moved to our current location on Lewis Way. In October of 2007 we held our first client appreciation party; we have continued to host this event every year. In 2009 we ushered in Financial Security Realty, our full service property management and real estate company. As we began to outgrow our office space once again, we purchased the downstairs offices in 2010 and expanded the downstairs area in 2014. 2014 saw us add four new financial advisor representatives who also possess quality tax preparation skills. We also launched Financial Security University (F.S.U): free classes offered to anyone who is interested in learning more about all things financial. 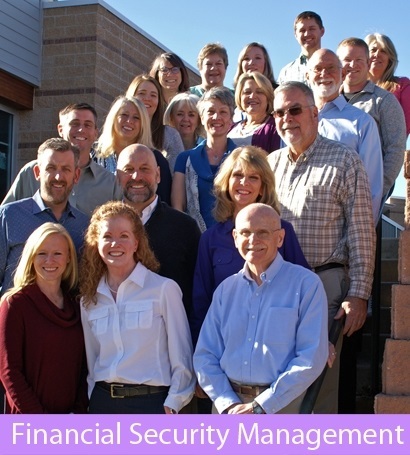 Financial Security Management has grown into a comprehensive financial services firm located under one roof. Throughout the years our motivation for growth has always been, and will always be, our clients. While we offer many financial services, we are dedicated to keeping our approach personal and individualized. Our purpose for existence is to help our clients achieve all of their financial goals throughout their lifetime. Financial Security Management and Financial Security Realty are separate and related entities.